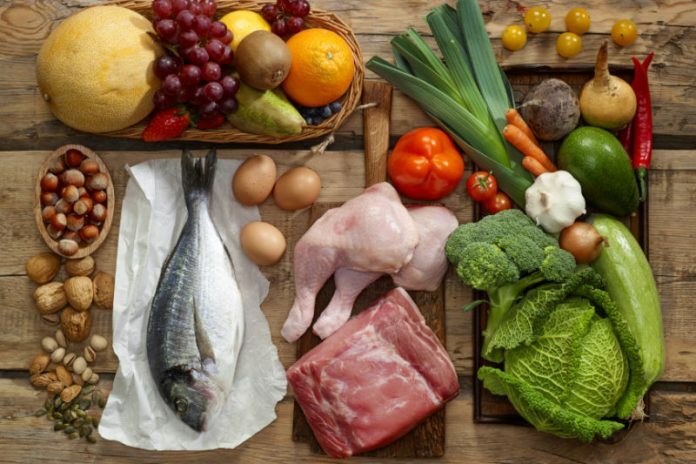 The paleo diet, sometimes referred to as the caveman diet, has become a popular approach to improve health conditions, lose weight, and/or clean up bad dietary habits. The diet is believed to resemble that of hunters and gatherers from thousands of years ago, who suffered from far fewer lifestyle diseases that humans today struggle with. Whether you choose to follow the paleo diet as an approach to healthier eating or not depends on whether you can handle some of the restrictions of the diet and whether the benefits of the diet are worth the dietary changes you’ll be making. While the paleo diet is sometimes compared to a low-carb diet, there are different variations of the diet and restrictions that exceed beyond simply avoiding carbs. For the most part, people following a paleo diet plan tend to focus on eating whole foods and meals rich with plant-based ingredients and lean protein vs. processed food and sugars. The idea behind following a paleo diet plan is to eat a diet as close to the one paleolithic humans did as possible. This generally means that foods that became available after farming methods started, such as grains, legumes, and dairy, are avoided on a paleo diet plan. While these are general guidelines for following a paleo diet, these rules are not set in stone. For instance, some individuals on a paleo diet avoid dairy, especially low-fat dairy, but allow for high-fat versions such as butter and cheese to be included in their diet. With the paleo diet’s popularity have come numerous modifications. Individuals following the paleo diet may use the diet as a basic guide or template for their meals, but include foods like gluten-free rice or grass-fed butter from time-to-time as they desire. The appeal of adhering to a paleo diet is often the desire to improve health conditions, whether that means losing weight, lowering blood sugar levels, or experiencing some kind of positive health consequence. For many individuals, weight loss is a primary goal and tends to be experienced when one goes on a paleo diet. This can be in part to the fact that processed foods are completely eliminated on a paleo diet and/or sugar is also to be avoided, two common culprits of weight gain. These reported benefits come from a number of randomized trials that have been held comparing the paleo diet to other diets, but more trials with larger groups of people will need to be conducted to confirm this analysis. Like any other diet, the paleo diet can also pose some potential risks or side effects for certain individuals. Whenever one is eliminating specific food groups from their diet, he or she is being exposed to the risk of developing dietary deficiencies. The paleo diet plan focuses largely on lean meats and fish, fruits, vegetables, nuts, and seeds. The diet plan largely avoids any type of grains or legumes, which can be a great source of fiber in the diet. Fiber is necessary for the human body for proper digestion and waste elimination, among many other things, therefore, any lack of this nutrient can be worrisome. Dairy products are also avoided on the paleo diet, which can be a wonderful source of calcium. Calcium is needed in the body for strong bones, teeth, regulating the heart, proper hormone function, and many other vital bodily functions. Not consuming enough calcium can have a detrimental effect on all these important activities. Like the gluten-free diet, vegan diet, or any other diet in which certain food groups are eliminated, it’s important to plan your diet adequately with professional assistance. Speak to your doctor about your health goals and whether the paleo diet is right for you. Your doctor and a qualified nutritionist can help you create a guideline that ensures you are getting all the necessary nutrients your body needs while also adhering to the healthy suggestions of the paleo diet. Whether you are seeking to lose weight or improve a health condition, it’s important that you approach either goal in an informed, well-thought-out manner so that you can compare all the benefits, risks, and feasibility of accomplishing your health goals with this diet.